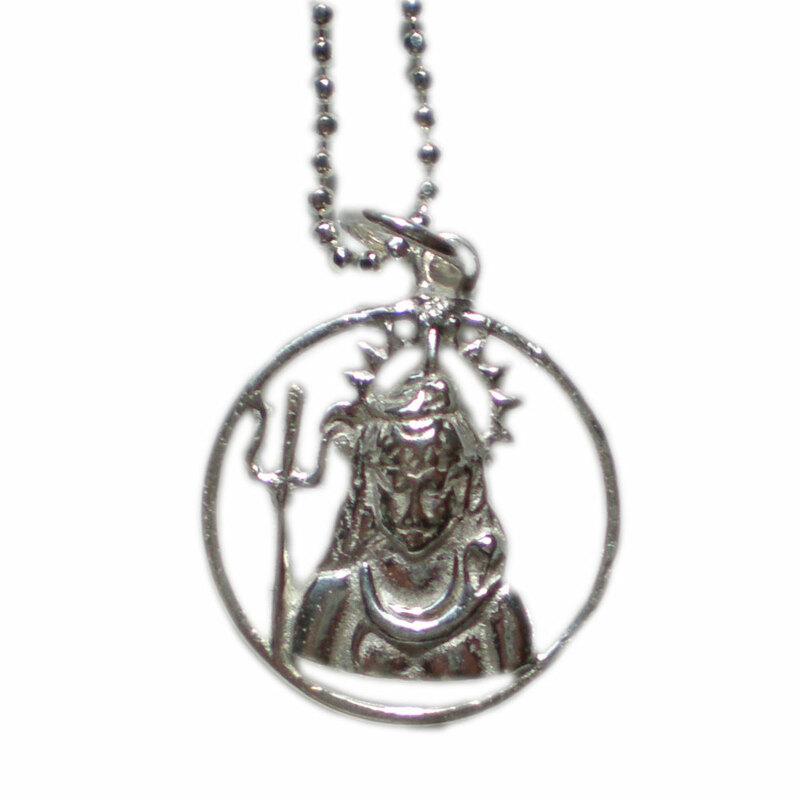 Part of our new Hindu necklace series. Shiva is the Hindu god of creation and destruction and symbolizes bliss. The 1" shiva pendant comes on 16" faceted silver chain. Shiva is viewed as the King of Yoga. Sterling silver ring with shiva's trident is a beautiful Hindu ring.